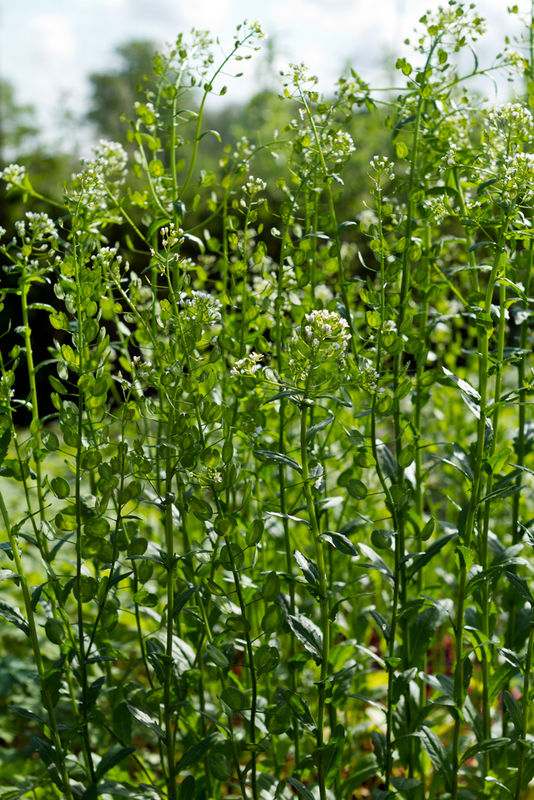 Field Penny-cress is a medium height, hairless and somewhat stocky annual with shiny, toothed leaves that clasp the stem with arrow shaped points. The flowers are white with yellow anthers but it is the subsequent seedpods that are this plants most distinctive feature. As the common name suggests these are penny shaped, flattened and broadly winged with a notch at the top. Unlikely to be confused with any other British wild flower. 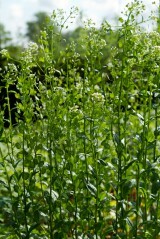 Field Penny-cress was introduced to Britain in pre-history. A summer annual found mainly on heavier soils it is an arable weed, particularly with broad-leaved crops and is also a frequent weed on disturbed roadsides, and in waste places and gardens. Can be sown at any time of the year.